Pacquiao vs Horn 2 has now on the table and they are setting it up. “We’re trying to figure out when will be the recess (in the Senate) is, so we can schedule the fight. We have to first find out what dates are available, then we will decide where we are going to hold the rematch but most probably in Australia again,” Arum told The Manila Times in an overseas call on Thursday. 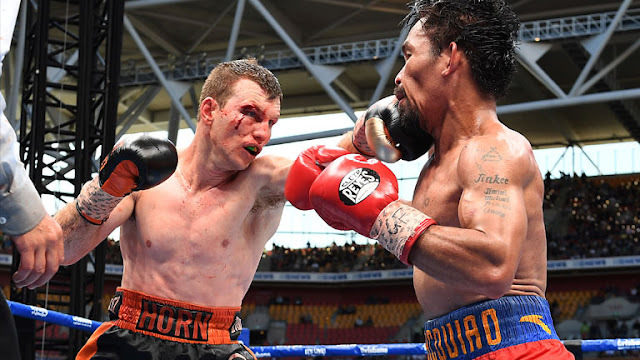 Pacquiao was defeated unanimously by the Australian Jeff Horn last July 2, 2017. It was a bit controversial but after a review, anonymous Judges found out that Jeff Horn did enough to win the fight. Pacquiao, however, seen that he won the fight and he is really eager to do the rematch and make it a decisive. Jeff Horn also said that he is willing to fight Pacquiao for the 2nd time but if not he will welcome any challenge but Mayweather is one on his options.